Personal e-mail and e-mail sent by students. RIT students are encouraged to create an e-mail signature which makes their e-mail easily identifiable as authentic. 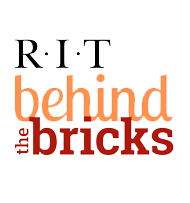 The name of the RIT-Specific organization or department the sender represents. A university telephone number, building address, and e-mail address (where available) that the recipient may use to contact the sending department with questions or to verify the authenticity of the e-mail. Web addresses may be included, but may not be the primary means of contact.